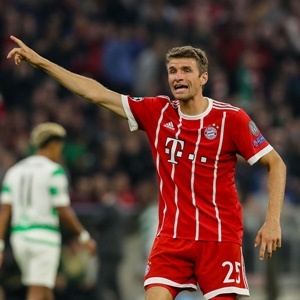 Berlin - Thomas Mueller says the Germans' shock early exit from the World Cup will provide "huge motivation" when he starts the new season with both Germany and Bayern Munich. Mueller, 28, was one of several 2014 World Cup winners who played poorly in Russia as previous holders Germany crashed out after the group stages by finishing bottom of their pool. Humiliating World Cup defeats to South Korea and Mexico will motivate Mueller and his team-mates in Germany's first match of the new Nations League tournament against newly-crowned World Cup winners France in Munich on September 6. "It's about how we can do better," Mueller told the Bayern Munich website. "After going out like that, you handle the failure very badly, because no one expected it." Mueller was a long way from his best in Russia, as were fellow Germany stars Toni Kroos, Sami Khedira, Mats Hummels and Mesut Ozil. Ozil announced his retirement from the national team last month amid the furore sparked by his meeting with Turkish president Recep Tayyip Erdogan on the eve of the World Cup, which brought Ozil's loyalty to Germany into question. The Arsenal midfielder, who was born in Gelsenkirchen to Turkish parents, walked away from the Germany set-up and accused the German FA of racism, which has sparked an integration debate in Germany. Mueller was not asked about the Ozil fiasco in the Bayern interview and commented solely on Germany's woeful performances in Russia. 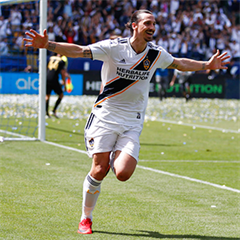 The first few days at home after returning early were "not the nicest in my life," admitted Mueller, who played at the 2010 World Cup in South Africa as a raw 20-year-old, then helped Germany win the title four years later in Brazil. "You can put your finger in the wound and look at the fact we came last in the group - that is already keeping us busy," he added. The new Bundesliga season kicks off on August 24. Mueller and Bayern will be chasing a seventh straight German league title under new head coach Niko Kovac. Bayern started a week-long training camp in Bavaria on Thursday and Mueller is looking forward to working with the new head coach. "The next week is also getting to know each other, exchanging ideas, talking and seeing what he has in mind, how he wants to play football," Mueller added.